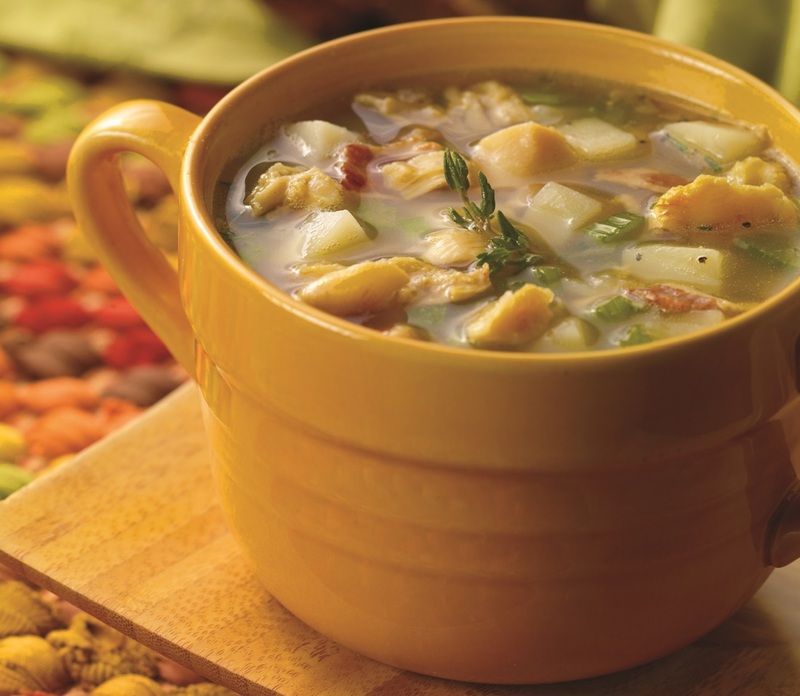 Originating in southern fishing areas and the beaches of Rhode Island this recipe features a clear clam broth, a mixture if bacon, onions, potatoes and clams. Cook bacon in medium sauce pan. Add onions, potatoes, celery and sauté over low heat. Add clam juice, juice reserved from clams and thyme, boil for 10 minutes or until potatoes are tender. Add garlic, pepper, Worchester sauce, and simmer for 5 minutes. Add clams, heat thoroughly and serve.